We have received the Diamond Comics shipping list from TFW2005 member D-Drive! Comic stores next week will be graced by the latest installment of Chris Metzen and Flint Dille's prequel story, Transformers: Primacy, along with a second printing of Transformers VS GI Joe #1! On top of that, comic shops seem set to get the latest Generations Voyager assortment - that's Roadbuster and Sky-Byte. So you may want to keep a look out in comic stores getting content through Diamond for that pair. Read on for the full solicits! Mobage has announced the next Transformers: Legends event; Autobot X.
Spike was seriously hurt in a Decepticon assault, so his Autobot pals set his mind in the body of Autobot X to save his life. Alas, the Decepticons quickly turned the cyborg against his former friends. Will the Autobots rescue Spike before the cyborg destroys them first? Find out today in TRANSFORMERS: Legends – “AUTOBOT X”! TFcon is pleased welcome Transformers comic book artist Sarah Stone to TFcon Chicago this fall. Sarah is the artist for IDW’s highly successful Transformers: Windblade miniseries that just concluded. She will be available all weekend for commissions, prints and signings at TFcon Chicago 2014. TFcon Chicago – The world's largest fan-run Transformers convention will take place October 24th to 26th, 2014 at the Hyatt Regency O'Hare – 9300 Bryn Mawr Avenue, Rosemont, Illinois to celebrate the 30th Anniversary of the Transformers. You can book your discounted room now via the TFcon 2014 hotel reservation website. Online registration is now available for TFcon Chicago 2014. You can follow the Admission/Registration/Ticket Information link to purchase your advance tickets. TFcon Chicago 2014 features a huge dealer room for Transformers merchandise, question and answer panels and autograph sessions with many special guests including ALAN OPPENHEIMER the voices of Warpath, Beachcomber, Breakdown and Seaspray in Transformers Generation 1 well as the voices of Skeletor, Man-At-Arms and Mer-Man from He-Man and the Masters of the Universe, in addition to DAN GILVEZAN best known as the voice of the Autobot Bumblebee in the original Transformers cartoon as well as the voice of Peter Parker/Spider-Man in the 1981 animated series, Spider-Man and His Amazing Friends. He also voiced Goldbug, Hot Spot, Outback, Rollbar, Scamper, Skids and Snapdragon in Transformers Generation 1, plus AARON ARCHER former Hasbro VP, toy designer and creative lead for all Transformers partnerships. More guests TBA. Earlier today the Transformers Takara Twitter page tweeted out an awesome image that reveals the throwback packaging of Takara's Legends Rattrap! 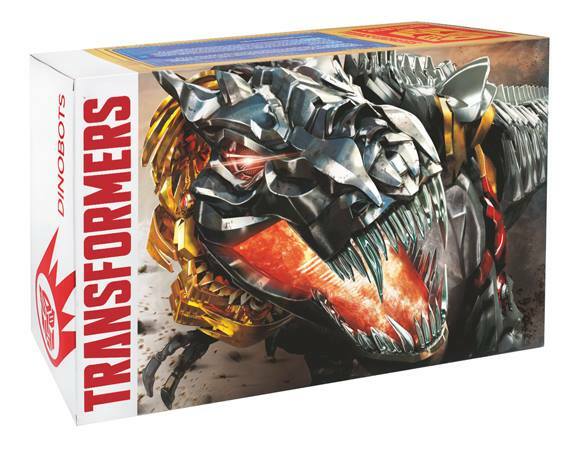 The box itself seems to be a nod to the Beast Wars packaging released in Japan, which you can see in our resources pages for reference. Legends Rattrap, also known as Generations Rattrap by Hasbro, is set to be released sometime in October. Thanks to TFW2005 boards member jimmynguyen41 we have our first retail sighting of the Nikko RC cars of Bumblebee and Optimus Prime. These items were found at a Target in the Washington area. For those not familiar, the Nikko RC cars are a licensed product of Hasbro and not only operate by remote control, but this Bumblebee and Prime also transform! These sets will retail for $49.99. Check your local areas if you're on the hunt for one! Our sponsors Robot Kingdom have reported that the next two releases in Takara-Tomy's Transformers Legends line will be TG-06 Gelshark (aka Sky-Byte) and TG-07 Jetfire. The pair are Japanese market releases of the Generations Sky-Byte and Generations Leader class Jetfire, respectively, and they are due to be released in December. While the initial photos are quite small, it seems as though both releases will sport altered paint jobs for their Japanese outings - Sky-Byte / Gelshark appears to have more silver on his sides in shark mode, and some metallic teal on part of the chest. Jetfire appears to have traded the red chrome on his weapons for regular flat red plastic. Will you pick these up over their US versions? Sound off in the discussion thread linked below. Member Hollywood Hoist has found the latest wave of Rescue Bots two-packs featuring Blades with Dani and Bumblebee with Morbot at a Target in Renton Washington. Remember to check out your local sightings thread for new toys in your area and happy hunting! Thanks to Joblo, we have with us some official details of the Transformers: Age Of Extinction Home Release. According to their official press release section, the movie will be available on 30th September in 3D Bluray, Bluray and DVD. Bonus features include 8 Making Of videos titled "Evolution Within Extinction". Mark Ryan (voice of Lockdown) has also tweeted a poster advertising the home release. We've mirrored the content with this news post. Check them out, after the jump. Japanese retailer Red Mercury has added a new listing for a Transformers Ultimate Toy Guide 2014 book. From what we can understand from looking at the page through an online translator, this book focuses on the characters and the toys of the Transformers Age of Extinction line, along with the previous three movies. The book will also include something special by way of a history of the line's 30 years. It's due to be released on 8 August - end of the week, in other words! IDW's Brendan Cahill will be attending this year's CybFest Northwest! You might know Brendan from his work on many of IDW's Transformers series including More than Meets the Eye and Dark Cybertron! Check out his online portfolio here to see some samples of pages from his work - which he'll have up for grabs at the show, as well as taking part in a panel and taking commissions. CybFest NW is the successor to the Cybercon events, and is taking place at the Kent Commons Community Center in Kent, Washington State on 16 August 2014! Find out more at the CybFest NW homepage! Famitsu reports that there is a new Transformers Convoy no Nazo (or Mystery of Convoy) game in the works. It's being developed for iOS and Android, and features the Takara-Tomy Q Transformers Optimus Prime as the main playable character. The original Convoy no Nazo was a Famicom title in Japan released in 1986 known for its crushing difficulty. There is also some video footage on Youtube by way of Walruslaw, which shows how the game has been reimagined as an "endless runner" i.e. your character is constantly running forwards. The game has also acquired more jumping sections and fewer enemies on screen at a time. The whole thing is controlled by two buttons - jump and transform. The original's music - and gigantic Decepticon symbol boss fight - are both present. The third (previously: Hironori Kobayashi, Shogo Hasui) translated TakaraTomy interview has rolled in, thanks once again to TFW2005 contributor SydneyY (and TFW2005 member RedTruck, who provided him with the Transformer Masterpiece Official Guide Book from which this interview originates) - this time with Takara Masterpiece designer Hisashi Yuki! Yuki is notable for being the designer of the upcoming and highly-anticipated Masterpiece Star Saber figure. In this interview, Yuki elaborates on his history with the Masterpiece line, the Masterpiece poll, the future, and more. Coming via Transformers Asia, it looks like the Hasbro version of the Masterpiece MP-10 mold will be seeing a reissue in select Asia countries this October 2014. The Hasbro version you may recall was the very difficult to find Toys 'R Us exclusive. Unfortunately no price has been provided yet, so we can only speculate given past Asia exclusive prices. We'll update you with more information as it becomes available. IDW Transformers artist Andrew Griffith has posted up on his Twitter a new print which he will have available at both Boston Comic Con and Fan Expo Canada, featuring the four IDW fembots: Arcee, Nautica, Chromia, and Fan-Built-Bot Windblade! This piece was drawn by Griffith himself and colored by Josh Burcham. IDW Transformers artist Andrew Griffith has posted up on his Twitter a new print which he will have available at both Fan Expo Canada and Boston Comic Con, featuring the four IDW fembots: Arcee, Nautica, Chromia, and Fan-Built-Bot Windblade! This piece was drawn by Griffith himself and colored by Josh Burcham. That was fast! TFW2005 boards member SideSwipe75 has stopped by to let us know that he found the Transformers Generations Legends Wave 4 - Cliffjumper and Nemesis Prime figures at his Target in Owensboro, Kentucky. If you're interested in these little dudes, keep an eye out, because they should be available across the country soon! Independent group FansToys, known for developing Masterpiece style figures, continues the Dinobot wars with their most recent reveal of Sever! Sever is Fanstoys take on the Generation 1 character Snarl, the third release in the Dibots line behind Scoria and Soar, and is set to be released sometime in the fourth quarter of this year. You can lock in an early bird preorder for this item until August 30th. Check out the prototype after the jump and let us know what you think! Discuss the news with the discussion link below.